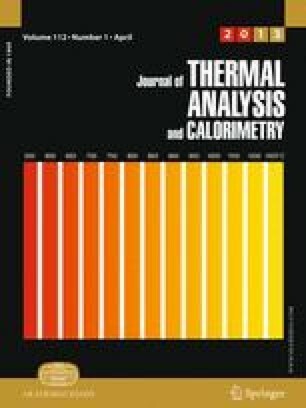 The impacts of zone melting and preparative chromatography on Phenanthrene purity were established by GC and DSC experiments. On the one hand, phase diagrams investigations between Phenanthrene and its major impurities (Dibenzothiophene, Fluorene, Carbazole, and Anthracene) have revealed inadequate heterogeneous equilibria for an efficient purification by zone melting, especially for Fluorene. Nevertheless, a clear purification effect has been noticed by applying this thermal process. On the other hand, preparative chromatography has shown a propensity to separate Phenanthrene from Fluorene. This uncommon case demonstrates the advantages of combining purification techniques to reach a sufficient purity level. Moreover, this study highlights the limitations of analytical tools to quantify such high level of purity. The online version of this article (doi: 10.1007/s10973-012-2746-z) contains supplementary material, which is available to authorized users. Couvrat N, Cartigny Y, Tisse S, Petit MN, Coquerel G. Binary phase diagram between phenanthrene and its main impurity. In: XXXVII JEEP—37th Conference on Phase Equilibria, 2011. doi:http://dx.doi.org/10.1051/jeep/201100006.